When attending an event, I make sure to adjust my travel time to arrive at the venue on time. 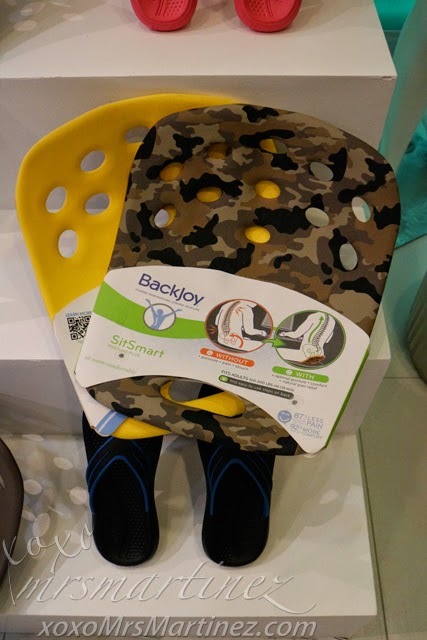 That's why even though it was raining yesterday, I still managed to arrive an hour early in BackJoy Stand Out with the Right Stance event held at Blue Water Day Spa in Ortigas Center. Being early at an event has its perks, I get to know a lot of people behind the brand. 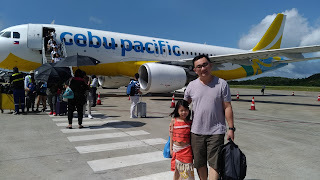 I was able to meet and chat briefly with BackJoy's Senior Regional Manager (Sales & Marketing, Asia Pacific), Doreen Lee. She explained the technology behind the brand really well. She even checked if the flip flops I received was the right size for me! This area near the reception was where I sat during the entire time I was talking with Doreen. She demonstrated the proper posture when seated and how Backjoy SitSmart corrects sitting posture, helps relieve pain and allow one to sit in comfort for better spine health. Aside from the Classic colours, BackJoy has recently launched various graphics and even a SitSmart Mini you can take with you anywhere, yes, even on airplanes! 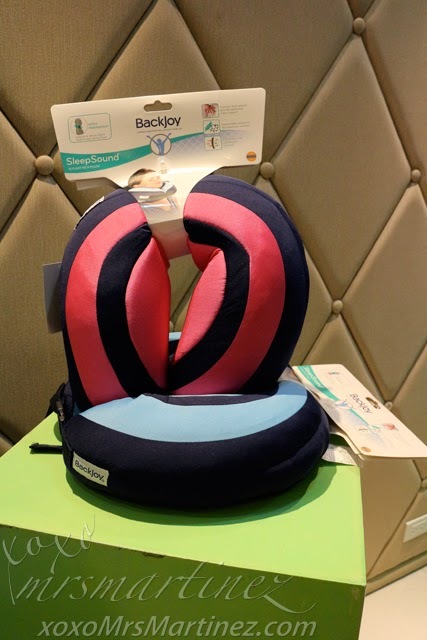 Speaking of airplanes, BackJoy also has SleepSound pillows you can take with you when traveling! Conforming Comfort- optimal sleep posture, reduce snoring and more restful sleep! 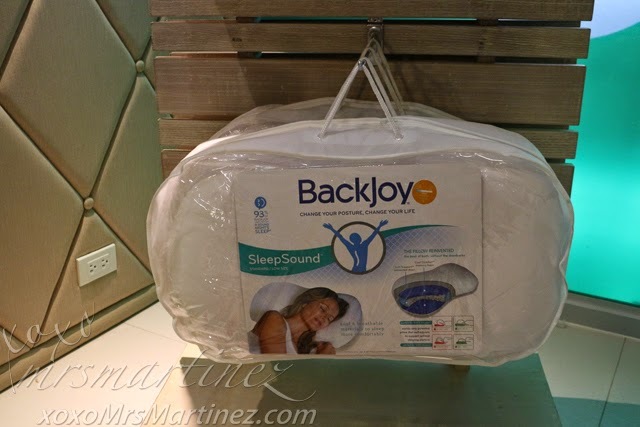 BackJoy SleepSound is a pillow reinvented! It is the world's only mechanically patented pillow that self-adjusts while you sleep! 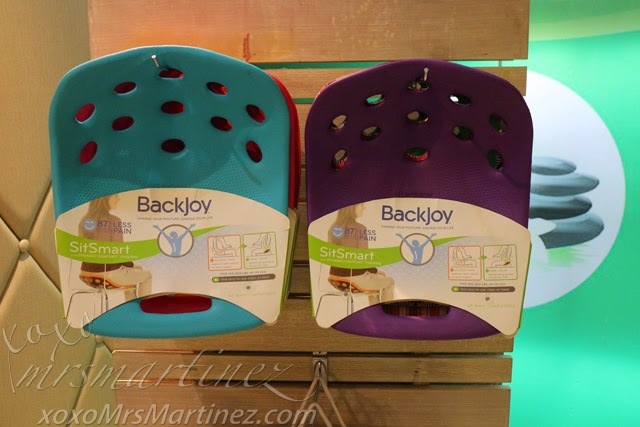 With BackJoy's Active Stabilization technology, these flip flops will help you stand and move better with optimal posture and movement. The curve you see the runs from top to bottom of the sole is the natural gait line system which guides the foot in correct walking alignment. The magenta-colored pattern on top right is called Met-Lift. 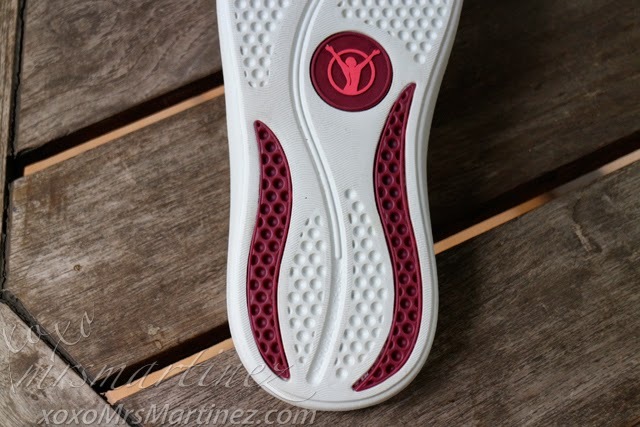 It aligns the inside of the forefoot with added support. 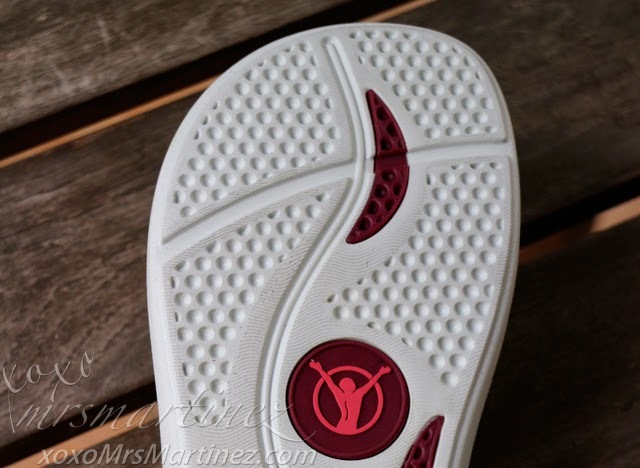 The white circular patterns all around it are the active core pads which disperses energy, reduces heel strike, and provides extra comfort, traction and grip. 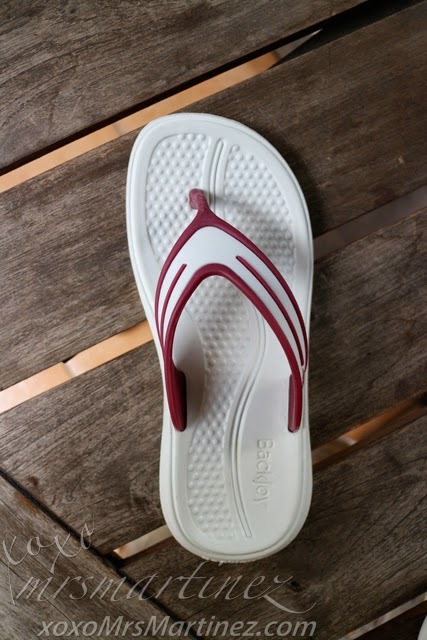 On the lower half of the flip flops, there's another magenta-colored pattern which serve as the active gait line support. 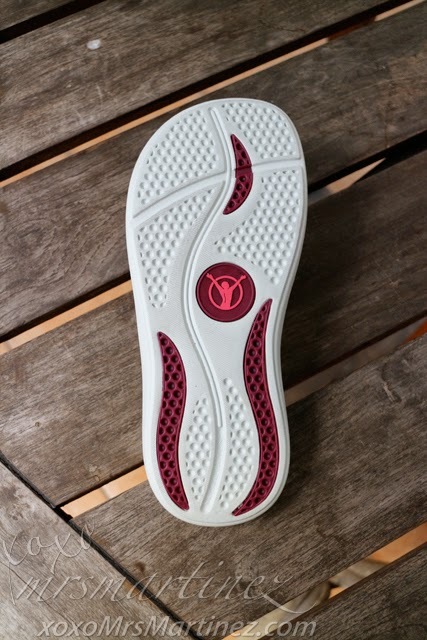 It stabilizes heel and controls foot when walking or standing. Doreen emphasized that to find your right size, your heel must be cradled. 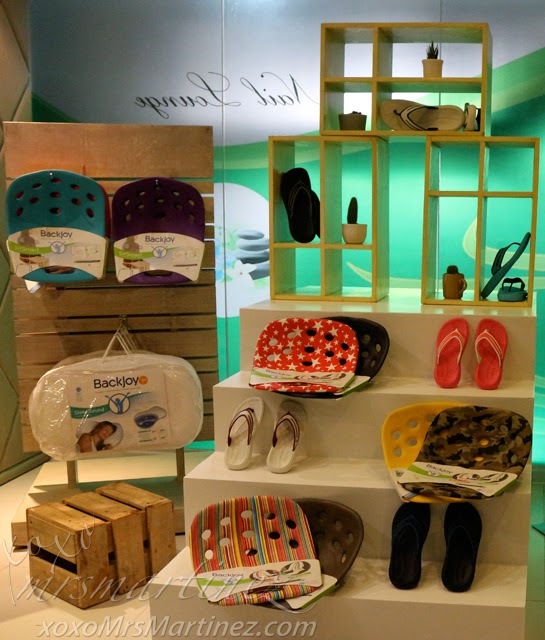 It is very important to have a neutral footbed cradle so that it can provide you with proper posture, support and movement. 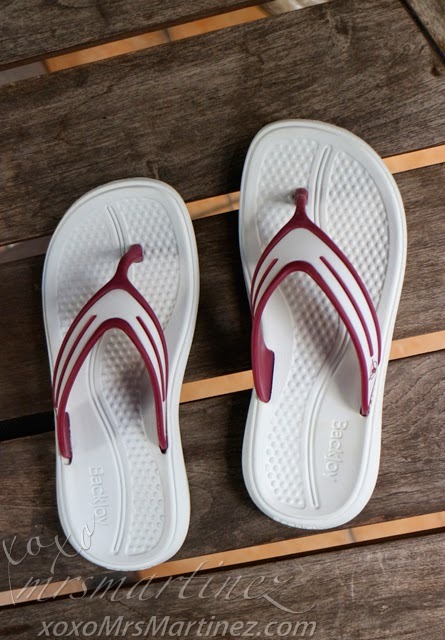 These flip flops are made with shock-absorbing materials that cushions foot and heel at impact. 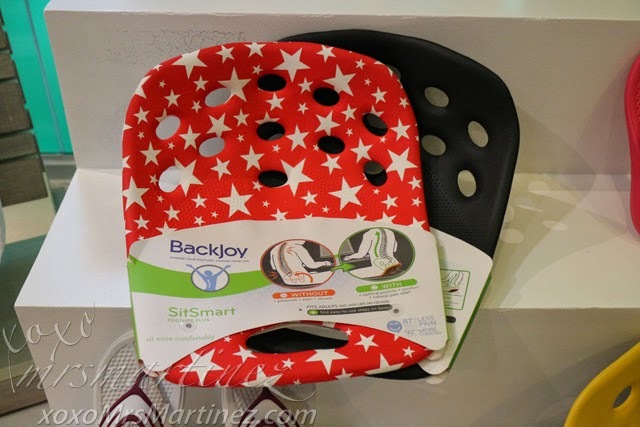 I can't wait to use my own pair of BackJoy StandRight Flip at home, while doing some errands, or simply playing with my little darling. I want to benefit from the technology that Preston Willingham invented in 1986! 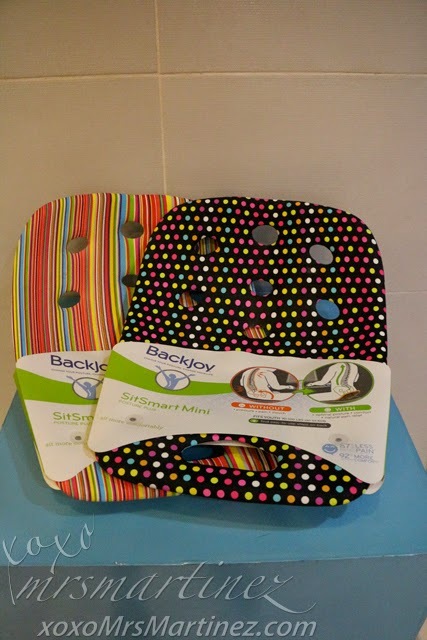 For more information on BackJoy, visit www.backjoy.com You can also check out its branches at Ayala Cebu, SM Fairview, SM Mall Of Asia, SM Megamall, SM Annex, SM Cebu, Robinsons Place Manila and Robinsons Place Magnolia.